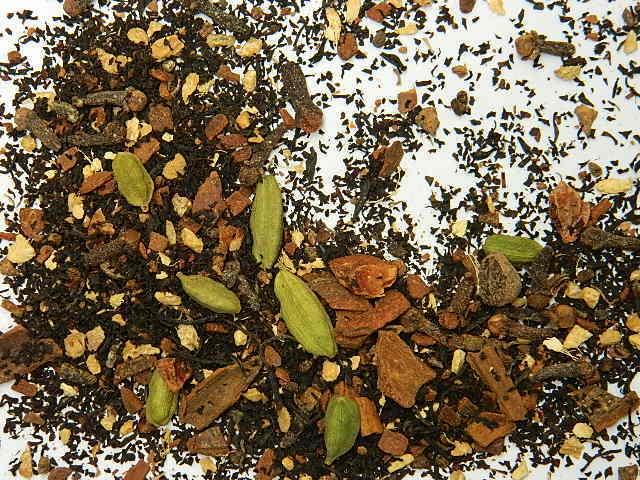 Some of the most popular varieties of tea we share with you, our wonderful customers, are chais. This Indian variety of tea is strong on the spices and has become a firm favourite worldwide due to its great taste and the benefits of including the spices in your day. Today we are sharing 4 great ways to brew up chai. Grab your teapot (or mug and infuser), your tea and put the kettle on to boil. Place 1 teaspoon per 250ml of water in your infuser for your cup or pot and place it in the pot or cup (if using a teapot, give your teapot a rinse with hot/boiling water before adding your infuser). Pour over the hot water, and allow to brew for 5-7 minutes – a slightly longer brew allows the chai flavours to really come through in your finished cup. After your tea is brewed, remove the leaves and add milk and honey as required! For Green Chai: Follow the same steps for the black chai, but only use 80-85oC water to ensure the green tea remains fresh tasting, not bitter. We do not recommend adding milk to green tea, but honey would be a lovely addition. 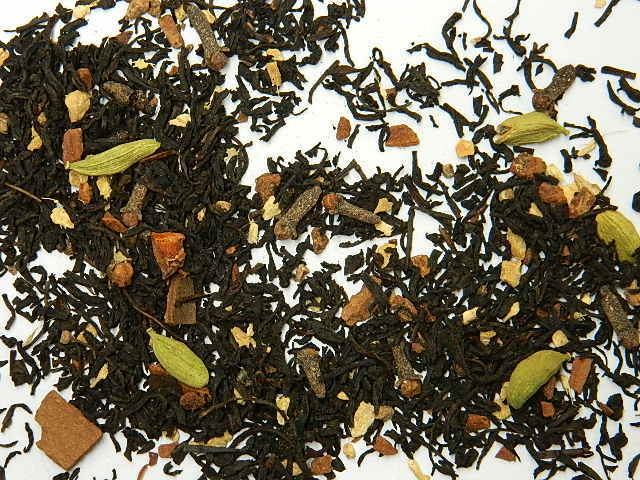 Our Vanilla Chai – one of our black tea chais, perfect for making as a straight tea! Lattes can be made with any of our chais, except green chai (which doesn’t suit milk). Gather your tea, milk of choice (cow’s milk, soy, nut milk or coconut!) a pot for the stove, as well as your serving pot or mug and a tea strainer. Pour the required amount of milk into the stove pot and add in the chai tea. Bring to the boil, then reduce to simmer for 10-15 minutes. The chai and tea will need longer than the standard brewing time to allow the flavour to come through the milk, so this is a grew time to practice some patience! To keep you busy, if you’re serving in a pot you can give your pot a hot/boiling water rinse while waiting. When your chai is done, pour into your cup or pot through a strainer, and serve! For those lucky enough to have a coffee maker or individual steam wand at home, you can create cafe-style chais very easily! Gather your pot for brewing the tea, tea strainer, milk of choice, chai tea and steaming device. Place the required amount of tea straight in the pot, then steam your milk in the milk jug. Pour the hot milk over the tea leaves in the pot, saving the foam for serving. Leave the chai for 10-15 minutes to brew to allow the flavours to come through the milk. To serve, pour through a strainer into a tall glass, top with the foam and a sprinkle of cinnamon or chocolate powder. Yummo! What?! A savoury iced tea?! What’s the crazy lady thinking! I know, that’s what I first thought when I heard of the idea of icing chai, but it definitely works! Its also the best way to continue enjoying your chais in the heat of Australian summers. Best of all, using our rooibos chais means you’re getting a nice hit of hydration at the same time! Perfection in a cup! Iced chai can be done with any type of chai tea, but our Rooibos Chai or Rooibos Vanilla Chai will give you a refreshing brew. Grab a tall glass and fill with ice. Pop it in the fridge until the tea is brewed. In a cup/mug, put twice the usual amount of tea in your infuser and add in the hot water (80-85oC for green tea, boiling for black chai, rooibos chai or straight spices). For the tea, if you have a large mug you usually use and would put 1-1.5 teaspoons of tea in your infuser, this time add 3). If you like a bit of honey in your chai, add it in now to allow it to dissolve in the hot water. Leave the tea to brew for 7-8 minutes. While your tea is brewing, grab you glass of ice from the fridge. Discard your infused leaves when the tea is brewed, then pour directly over the ice. Add a splash of milk into your chai if you want and enjoy! You’ll want to give this one a go, it completely transformed my views on iced tea! We want to hear from you – share your chai creations with us in the comments or over on Facebook!